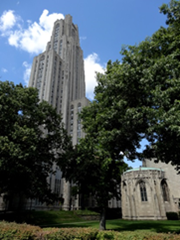 That’s the Cathedral of Learning at the University of Pittsburgh. Home to The Graduate School of Business in 1977. After the advice I talked about in Part One, I wound up at West Virginia University (WVU) having only lost credit for freshman English. I would have also lost credit for Phys-Ed (PE) if I hadn’t managed to fail that at Georgia. Meeting WVU’s PE requirement wasn’t going to be the problem that it was in Georgia. The good news was that by getting Physics and Calculus out of the way in Georgia, I only had one hard science course to take during my sophomore year, Organic Chemistry – easy peasy. The bad news was freshman English. I sat for the exam that would let me skip the course at WVU. 69 out of 100 and the minimum passing grade was 70. One lousy point but a problem of epic proportion. English 101 at WVU was only offered on M-W-F at 8:00 AM. I had other classes that I had to take at 8:00 AM. Classes required for my major. Classes I could not, not take. I would have 8:00 AM classes every semester throughout undergraduate school. I could take English in summer school but that would mean giving up my summer job at the Post Office, rendering me too poor to continue school. I needed help. “Walk with me.” Just like in the movies. We walked across campus to the office of the Associate Dean, Department of English. I thanked Dr. Humphrey and headed to off to add an English class to my schedule. The only class that worked was Poetry, not a bad thing. A year later, as I was starting my junior year, I still wanted to become a forensic chemist. Dr. Humphrey suggested I should do a two-year undergraduate research project in “Computer-Assisted Analytic Chemistry” – that sounded great because I had taken computer science courses in high school and I loved them. I cruised through a couple of computer science courses and I completed four semesters of undergraduate research, writing FORTRAN programs that simulated a complex chemical process. I struggled with Physical Chemistry and Quantum Mechanics but I did well in Organic and Analytic. 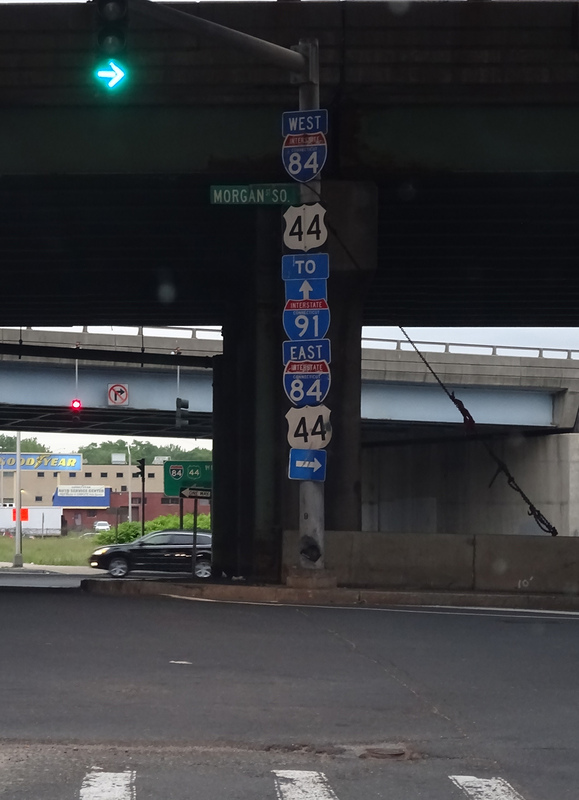 This is the intersection where, among other things, President Ford’s limo was hit back in 1975. In my senior year, I applied to The University of Virginia’s Doctoral program. I got accepted. I was happy, scared, proud and poised to turn the corner. I didn’t realize that I was approaching a very complex intersection. My heart sunk. Adequate? What the…? Once again, my advisor had thought harder about my future than I had. Frankly, I was relieved. I didn’t want to go to graduate school in Chemistry. I no longer had a passion for Chemistry and I loved computers. I was prepared to follow a path, as young people often are, simply because I didn’t know that I could get off. Next week, Pitt and the best advice ever. I was lucky Judy. I wanted to explain the PE grade, but there wasn’t room. I’ll squeeze that in somewhere. Luckily, at WVU, PE was Pass-Fail and easy to pass. I took handball and volleyball. Thanks for visiting, I appreciate the support. There is no substitute for practical knowledge Sharukh. I don’t know the folks in your circle, but you are not the “least educated” – not by a long shot. Thanks Dan. When I say least educated I meant to say “a guy with least certificates” Currently, in India there is this “MBA Craze” everybody doing an MBA just to ensure financial and job security, but my aim is different, so I give a damn. The MBA made sense for me since I had an undergraduate degree in Chemistry and no exposure to business subjects. It made sense for my daughter a couple of years ago because her undergrad was an BFA in Photography but she’s managing a marketing department. Just piling it on on top of other similar degrees doesn’t seem all that helpful. As for certifications, particularly IT certs, I don’t see them as being all that useful. I’ve seen lots of people with certifications that have awful communication skills and, in most jobs, communications is much more important. Thanks Amy – Yeah, I do have a history, but sometimes I look for the easy row to hoe. Wow sometimes we really can not see the forest through the trees can we! Pretty much sums it up JoLynn. That’s fantastic. I had a chemistry prof who blew something up every Friday and gave a pop quiz on it every Monday. I enjoyed the — I really loved his class. It’s hard to imagine that you didn’t think computers were the thing to do, but then, you were young. Great story Phil. Business Yes! Phil? Thanks John :) Business…who knew? Sorry Dan. I was talking to a friend Phil when I wrote that line. I’m an idiot. “That “but” hung in the air the way the aroma from the neighborhood barbeque you weren’t invited to does.” Seriously, Dan? No one writes like that who cannot pass English! Dr Humphrey was some kind of wonderful, wasn’t he? I am so enjoying this series. Really good! I like that I ended up following in your path of getting a degree-less-traveled-by and then adding an MBA to it (but as a complement not as a replacement.) I did not follow in your path in understanding chemistry. Like joyfullystated, I enjoyed the parts of class that ended with my teacher blowing something up or lighting his foot on fire, but you did better on the English exam you failed than I did on my chemistry exams. I like reading your stories about how everything turns out well in hindsight. It’s so hard to know if these choices are right when we’re in the middle of making them. You make pretty good choices. Looks like I’m not the only one who wants to know about this PE credit!!!! I guess we’ll know soon, right? It’s interesting how others can see ‘things’ in us that we can’t see ourselves. Looking inward is so hard to do but when we surround ourselves with positive, smart, kind people they can help us see our true potential and even encourage us to achieve things we hadn’t even dreamed of. Thanks! It is interesting. As I look back on these first two bits of advice, I wonder why I accepted them. I am glad that I did, but knowing how reluctant I was (maybe stubborn, maybe recalcitrant) to change directions, it’s always amazed me that I listened to these men and made such radical shifts. Hmm, perhaps you were being guided by greater forces — forces beyond your control — forces of a ‘higher power’. I don’t discount the possibility. It also takes wisdom to follow good advice . Sounds to me like you made the right choice in career plans . Thanks Dan. I’m pretty sure I made the right choice. I did have the opportunity to work in a crime lab, I turned it down, but that’s a story for another day. That was a great corner for sure!! I like it. “Did it ever occur to you that you can do in life that which comes easy to you?“–this is one advice that I wish I had been given. Instead we were encouraged to do the hard stuff, the ones in which we had to exert. “Hard work pays”–they said, while torturing us with unnecessarily difficult subjects and coercing us to love them. We had students who were really good in Sports, especially Soccer and Athletics, who needed just the right coaching and guidance in order to excel. But because they didn’t do as their parents and teachers wanted–because they weren’t good in class, weren’t scoring As and Bs–they failed and disappeared back in the villages, jobless. It is awful to remember. That is very sad Peter. Doing what comes easy allows you to excel instead of struggle and that makes for a much better life. I am so glad that I received this advice. It literally changed my life from one that would have been dreary to one that was exciting and interesting. Chemistry? The interesting part is I would’ve happily taken any English and poetry courses if it meant staying away from chemistry. :) Look forward to learning all about those PE credits. I think that will be revealed during the next “if we were having a beer” post :) – Poetry turned out to be a bright spot in my week. Wonderful! Your advisor knew you more than you:) Did you ace the GMAT? You have me smiling here with that BBQ smell:) I look forward to reading part 3. Thanks! I did ace the GMAT. I always did well on standardized tests. I’m always amazed by how clearly I can smell BBQ from around the neighborhood. Mmmm, burrrrrrgerrrrrs. In the category of advisors, you are incredibly lucky. I have so enjoyed the narratives about your efforts to prepare for a career. I particularly like discovering where you got your feel for poetry. Thank you. I was very lucky indeed. The funny thing is that the poetry course was a nice treat for me that year. It was hard, but it was so different that it broke up the week. Teachers/educators are the unsung heroes in our lives. These guys stand out but I had several teachers who gave me more help than they had to.